Earlier this month, Belmont University welcomed guests to the 2018 “Power of WE: Women Entrepreneurship” luncheon. The event featured guest speaker Michelle Hernandez-Lane, Chief Procurement Officer for Metro Nashville and centered around a panel discussion led by powerful women entrepreneurs and professionals from the Nashville area. In addition to Hernandez-Lane, these panelists included Kate Herman, market president and publisher for Nashville Business Journal, Page Turner, principal broker/owner of Elite Real Estate & LIFE-Changers, Int’l and Tanaka Vercher, chair of the Budget and Finance Committee for Metro Council. The discussion, moderated by former principal owner of Remnant Management Group Stephanie Beard, allowed participants to hear advice from seasoned professionals who shared personal experiences and learning and growth opportunities as well as tips on how to get ahead in the business world. 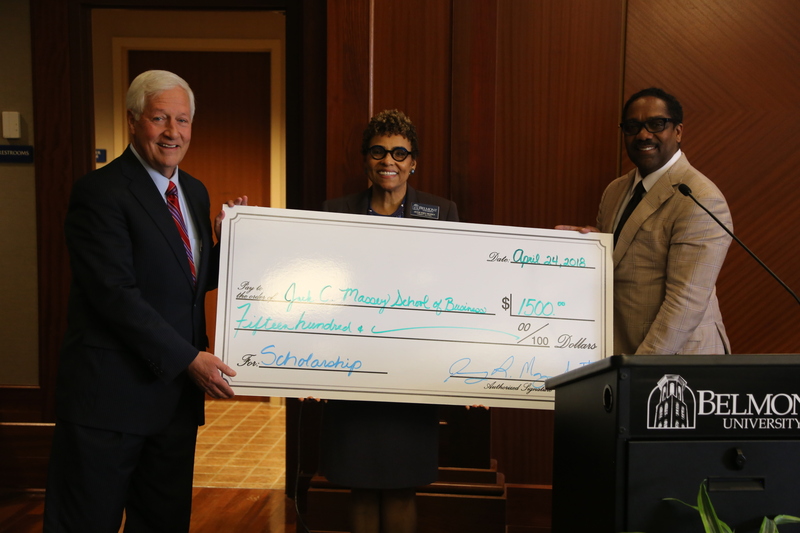 At the end of the event, a check for $1,500 was presented to Belmont to be given to a female business student who is interested in beginning her own business.